The joy of heading up a member organisation is meeting members and learning about the fantastic work they do and the impact they have on our society, both local and global. 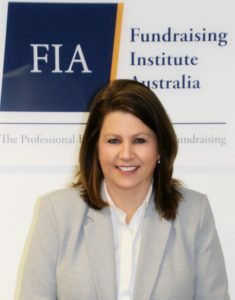 It’s heartening to see new members join FIA in support of our sector, sign up to the FIA Code and be part of our incredible fundraising community. The list of new members to FIA in 2018 is too long to name, but we welcome all newcomers and encourage everyone to get involved in all that FIA has to offer, including in your state events in the coming year. Over the coming months, I’ll let you know about other organisations who have become members. As always, I’m available anytime to hear your feedback, comments and suggestions for how FIA can best be of service to you. On another note, Wednesday is the United Nation’s International Volunteer Day, and their 2018 theme explores how volunteers build resilient communities. Each year, hundreds of millions of people volunteer their time and skills to help make the world a better place. In Australia, there are about 3.6 million volunteers alone. I’d like to extend my thanks to the more than 200 volunteers across Australia who help FIA in so many ways. This includes the state committees, special interest groups, awards judges, conference volunteers and the FIA board of directors and committee members. Volunteers are the lifeblood of FIA, and we could not do what we do without their help.